FOX has ordered a 13th season of "So You Think You Can Dance" after all, but the network is also changing the format for the second time in two seasons, perhaps a sign that the long-running competition show is on its last legs. The announcement was made via press release on Monday. Retitled "So You Think You Can Dance: The Next Generation," the series will move its focus away from adult dancers to instead showcase child performers between the ages of eight and 13. After the show finds its Top 10, it will pair each hopeful with one of its previous All-Stars to have them compete in teams. It was not announced which All-Stars will be participating in "Next Generation," but FOX's release confirmed that Nigel Lythgoe, Paula Abdul and Jason Derulo will return as judges, while Cat Deeley will continue as the show's host. "So You Think You Can Dance" already overhauled its format last year, when it hired Abdul and Derulo as part of a new "Street vs. Stage" season that divided the competitors by their chosen style of dance and created two teams. "Team Street" was captained by Stephen "tWitch" Boss and "Team Stage" by Travis Wall, with 19-year-old tap dancer Gaby Diaz from Team Stage being declared the winner on Sep. 14, 2015. But the changes didn't seem to have much effect on the show's declining ratings. 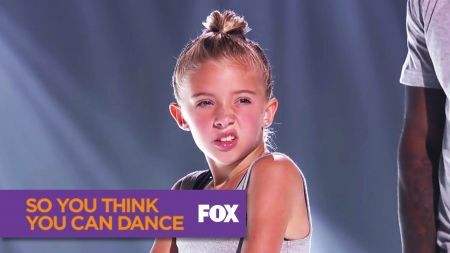 "So You Think You Can Dance" spent most of season 12 attracting somewhere between two and three million viewers, and rarely registered higher than a 1.0 share in the coveted 18-49 demographic. Its final four shows, including the finale, drew less than three million audience members and all ranked in fourth place in the show's time slot, leading to rumors that it might be cancelled. Instead, FOX will apparently try to win over audiences with a child-friendly competition, similar to when the network took its cooking competition "MasterChef" and spun off a separate series called "MasterChef Junior." That show's recently concluded fourth season had an audience about a million viewers more than "So You Think You Can Dance." But will kid dancers have the same appeal? The "So You Think You Can Dance" tour concluded on Jan. 28, but the show will be holding live auditions in Los Angeles, Chicago and New York beginning Feb. 27. More information can be found at the show's website. "So You Think You Can Dance: The Next Generation" premieres Monday, May 30 at 8 p.m. on FOX.